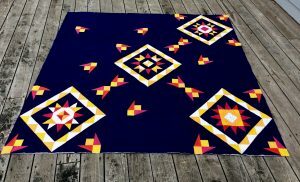 I had the privilege of custom quilting the PEI Modern Quilt Guild Charity quilt that was being sent to Quilt Con 2018 the first pic was only of the back as it was also the same design for PEIMQG mystery Quilt Along and we didn’t want to ruin the mystery. 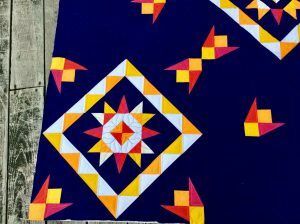 Tutorial for Plus and X’s Block , 10″ finished. 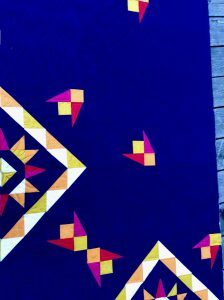 Jan 2017 come and almost gone! September Already? What happened to the Summer? 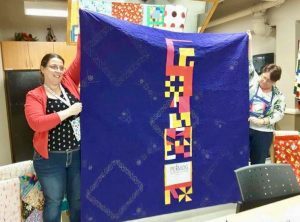 Liz Dempsey: Thanks, it was your quilt that inspired me. 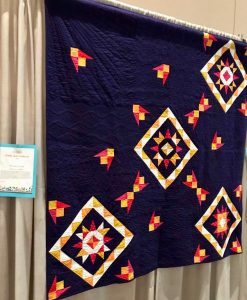 Linda Smith: I love your quilt! and the photos are awesome!